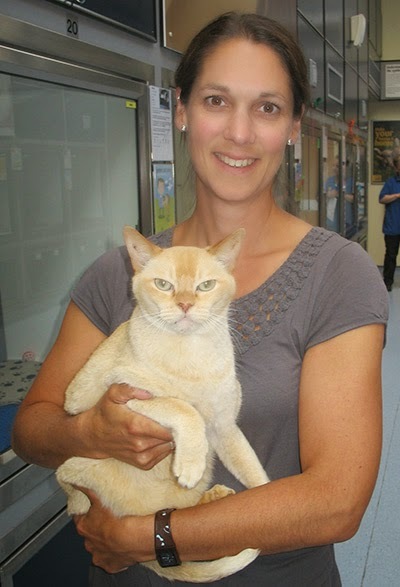 Looking for some vaccination advice or information on infectious diseases in cats? Cats Protection vet Vanessa Howie held a live Q&A on our Facebook page yesterday and was taking questions on the topic of vaccinations and infectious disease. Question: I've got a cat from a rescue home. He's had all his jabs and on the paperwork it says he should have a booster next January. I'm keeping him as an indoor cat so would the booster be necessary? Answer: Vaccination is routinely used in cats to offer protection against two of the cat flu viruses (feline herpes virus and feline calicivirus) and feline parvovirus. Feline leukaemia virus is also commonly included. If you want to continue offering your cat full protection then a booster vaccination is required in line with the vaccine manufacturers’ license for the vaccine. However as your cat is going to be an indoor cat he is likely to be at lower risk of coming into contact with these viruses. Please speak to your vet about your cat’s individual needs and remember if you choose not to continue with vaccinations it's extremely important to carry on with the annual check-up for your cat at your vets. You may also find our vaccination leaflet useful. Question: Are annual boosters safe or should vets be taking blood to check whether booster required? I have read that in the USA routine vaccinations are less common having been linked to causing other conditions in cats such as tumours? Answer: Blood samples taken prior to booster vaccinations look for the level of antibodies produced by the body in response to exposure to the virus in the vaccine. Antibodies will wane over time if the body is not challenged by the virus again and when they reach a low enough level will no longer be protective. Monitoring antibody levels allows you to know whether or not these need boosting with another vaccine or not. Unfortunately blood sampling and testing is costly and not always readily available at usual external labs, along with the added stress to the cat of obtaining the blood sample. Drug companies have carried out many trials to get licenses for their vaccines looking at antibody levels and have established the ideal time for when routine boosters are needed. There is certainly some change happening in this area in recent years and not all viruses may need annual boosters in the future. With regard to tumours, many studies have been carried out in the USA looking at the incidence of injection-site sarcomas and it is believed that the they occur at a frequency of 1 in 10,000 cases, much less commonly than cat flu. Question: I have four indoor cats, are the boosters still necessary? Answer: Please see my reply to the first question above. I would recommend that you talk to your vet about your cats' individual vaccination needs. And it is worth considering that although indoor cats may appear to be at less risk, they are not getting natural exposure to bacteria and viruses which act as natural booster reminders to their immune system. If vaccinations are not kept up to date, immunity may wane and indoor cats will not have protection if they do become exposed. Here's a link to our vaccination leaflet: Infectious disease and vaccinations. If you missed our Q&A do keep an eye out on our Facebook page for future Q&As.